I wrote this story and adapted original play inspired by the plight of the Green Hairstreak Butterfly, a threatened species in the San Francisco Bay Area. 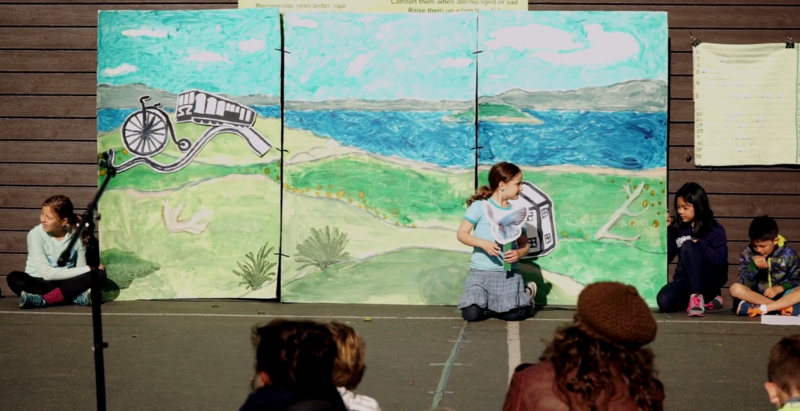 It was performed by first grade students and narrated by fourth grade students at the Children’s Day School in 2015 in San Francisco, California. It was the culminating arts showcase of a cross disciplinary study of the butterfly, and community service project.